The problems facing our global civilization today begin with the way in which our economy is structured. We live in an inflationary debt-based economy and such an economy is totally dependent on growth for its continued existence. The basic idea is that you can take on more and more debt because you know that your income will increase as the economy grows. Countries do this with the bonds they issue. They rack up debt on the assumption that their income from taxes will keep on growing at a sufficient rate so that they can always make their loan repayments on time. It is exactly the same with private individuals. We take on very large home loans on the assumption that our income will increase in the future and the value of our home will increase with time. Why does our income increase? Because the economy grows and creates a bigger demand for our services. Why does the value of our homes increase? Because a growing economy gives more people greater purchasing power which pushes up house prices through increased demand. But the moment that growth begins to slow down, both people and countries suddenly begin losing their ability to pay back their debts and the system begins sliding down a very slippery slope. This slippery slope is known as a deflationary spiral. In such a spiral, market activity slows down, prices of assets and consumables drop due to decreased demand and income drops due to reduced sales at reduced prices. Unfortunately, however, debt stays constant and it now takes greater and greater percentages of disposable income to meet debt repayments. Since people now have even less money to spend on other things, the market slows down even more and we enter what is sometimes ominously referred to as the deflationary death spiral. 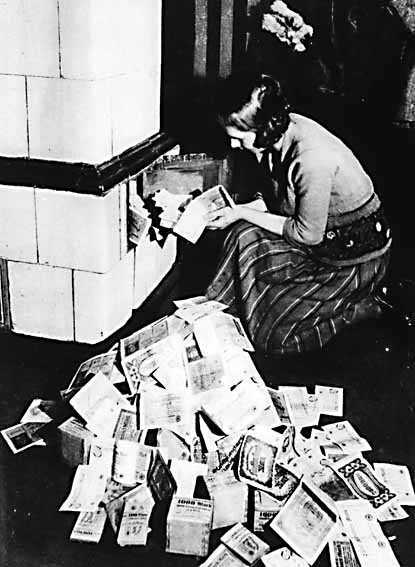 However, governments have a secret weapon to prevent the deflationary death spiral: printing money. Because our economies run on fiat (paper) currencies which can be created out of thin air by governments and banks, the government is able to simply give people more money that they can spend, thereby granting them the purchasing power to keep on spending and prevent the deflationary death spiral. Unfortunately, this strategy can also spiral out of control through a process known as hyperinflation. Unless government money-printing stimulates some real economic growth (which is unlikely simply because such major government intervention is inherently economically inefficient), prices will rise very rapidly due to increased demand and limited supply and consumers will again be able to buy very few real items even with their greater amounts of money. If this is the case, the real economy slows down even while prices go up and government is forced to create more and more money (leading to ever-greater economic inefficiency) and inflate prices at an ever increasing rate. There are many instances in history where this process has made a currency totally worthless and destroyed the economy of the associated country. All of these nasty things can be avoided, however, by simply getting the economy to grow year after year. It is important to note, however, that growth does not imply nominal GDP growth (growth in the total monetary value of all value added transactions occurring in a single year). A country in hyperinflation will rapidly increase its nominal GDP as measured in its own currency even though its economy is actually crashing. Even standard inflation can create a very deceptive illusion of economic growth when there actually is none. No, what we need is real growth in the amount of goods and services produced. And this is where the real problem comes in. This entire growth-dependent system (which is now implemented world-wide) emerged from the industrial revolution and the cheap energy from fossil fuels that drove it. Over the past few decades, we have lived in a world where cheap fossil fuels were just spilling out of the ground and the earth had seemingly limitless resources and limitless waste-storage capacity. Real economic growth was incredibly easy in this environment and our growth-dependent economy emerged as a natural and predictable result of human nature. 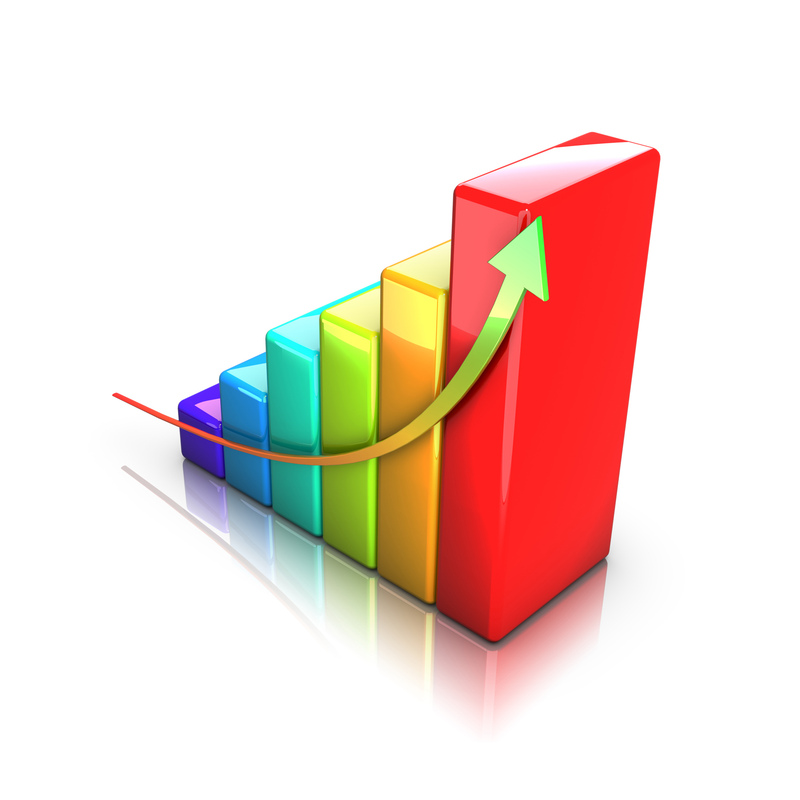 Now, however, this period of easy growth is rapidly drawing to a close. Fossil fuels are becoming scarcer and harder to extract, basic global resources like food and water are coming under increased pressure from rapid growth in population and per-capita consumption, and wastes and toxins created by human activity are now starting to create real problems (such as climate change). The really scary truth (shown below) is that we are already consuming like we had 1.5 planets. In this environment of ever increasing scarcity, real economic growth is a lot harder and our growth-dependent economic system simply can no longer work. Just to make things even harder, the developed world is running into another barrier to growth – their aging populations. As affluence and healthcare spending increased through the years, we have successfully eliminated all the infectious diseases of poverty and greatly increased our lifespans. This is a very good thing, but the fact that people are living longer and having fewer children is rapidly reducing the ratio of those who are working to those drawing pensions. 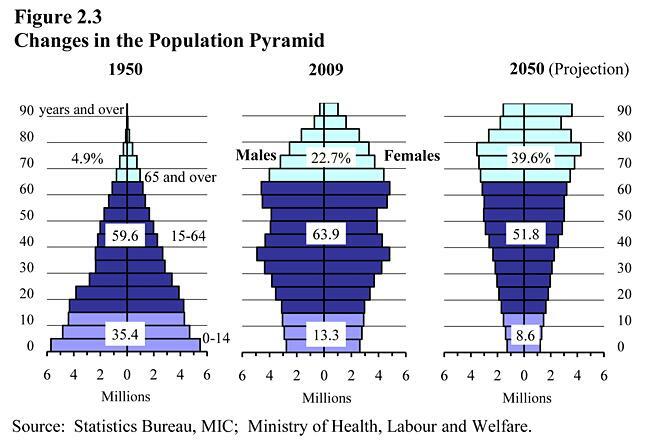 Nations such as Japan (below) are starting to have some real problems with this shift in demographics. These are highly significant problems because, in the absence of growth, our growth-dependent economic system has only two possible destinations: the deflationary death spiral or hyperinflation. In both of these situations, millions of people will be financially ruined and our ability to exchange valuable goods and services will be greatly impeded. People who own real wealth-preserving assets (such a debt-free home or physical precious metals) and real productive assets (such as farms and factories) will be able to ride the storm, but people with no savings or assets will suddenly find themselves in a situation where they have no purchasing power and no way of earning purchasing power. In effect, these people will have no means by which to buy even the basics like food, water, shelter, sanitation and electricity. And yes, the real problem is just how many of these people there really are. 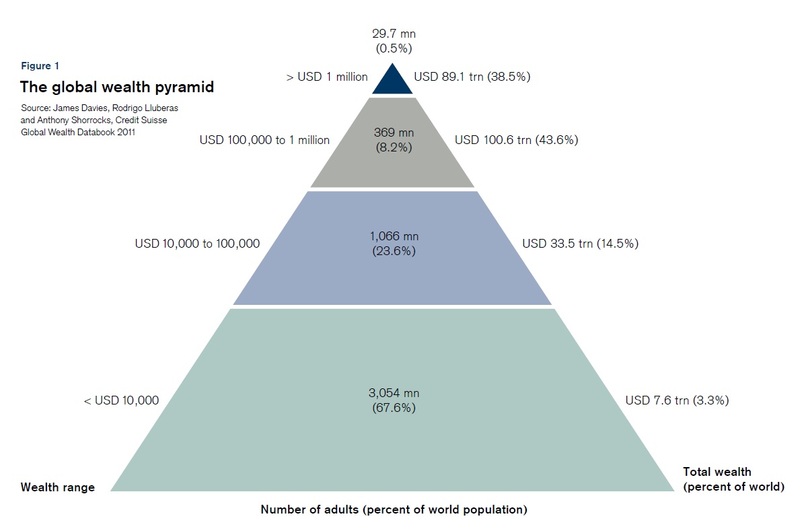 Here are the facts: the top 0.5% of the global population (the elite) control 38.6% of the wealth, the next 8.2% (the upper class) control 43.6% of the wealth, the next 23.6% (the middle class) control 14.5% of the wealth and the bottom 67.7% (the poverty class) control only 3.3% of the wealth. Therefore, per capita, the average member of the elite is 1600 times richer than the average member of the poverty class. Also, the bottom two thirds of the population have an average total net worth of less than $2500 per adult (which is less than the average American makes in a single month). This incredibly skewed wealth distribution is a simple and natural result of our growth-dependent economy. In a functioning inflationary growth-dependent economy, assets continuously increase in value, implying that those who own assets can make a lot of money. The more money you have, the more assets you can purchase and the more money you can make in this way. This is the great benevolent cycle of compound interest. However, if you start with no money, are unaware of this moneymaking mechanism or are unwilling to forego a little consumption so that you can start investing, you simply never get on this magical money-making ride. And yes, unfortunately, the vast majority of people fall in this category. Over many decades therefore, it is only natural that the majority of assets have found their way into the hands of fewer and fewer individuals. But what will happen when environmental restraints and demographic shifts cause growth to stop or even reverse? Well, in short; the elite will be OK, the upper class will have some problems, the middle class will be in real trouble and the poverty class will be fighting for their lives. What do you think will be the effect on our society when 24% of the population become truly desperate and another 68% are fighting for their very survival? 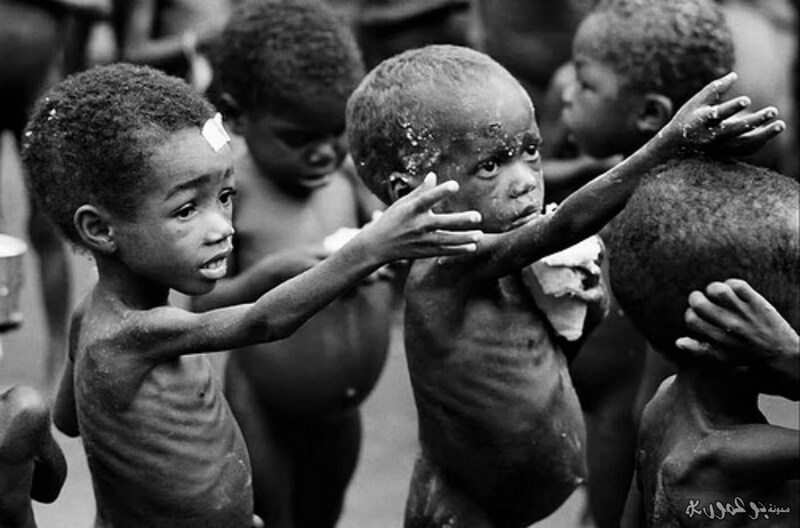 From a purely economic standpoint, the massive conflicts that are sure to arise from such a situation will further destroy productive assets and plunge more and more people into poverty and desperation. 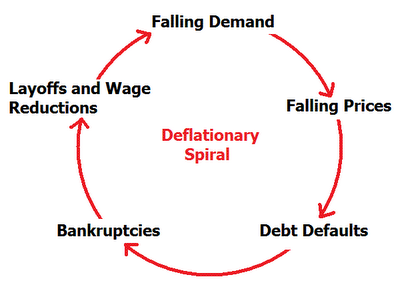 This will not be a deflationary death spiral; it will simply be a death spiral. 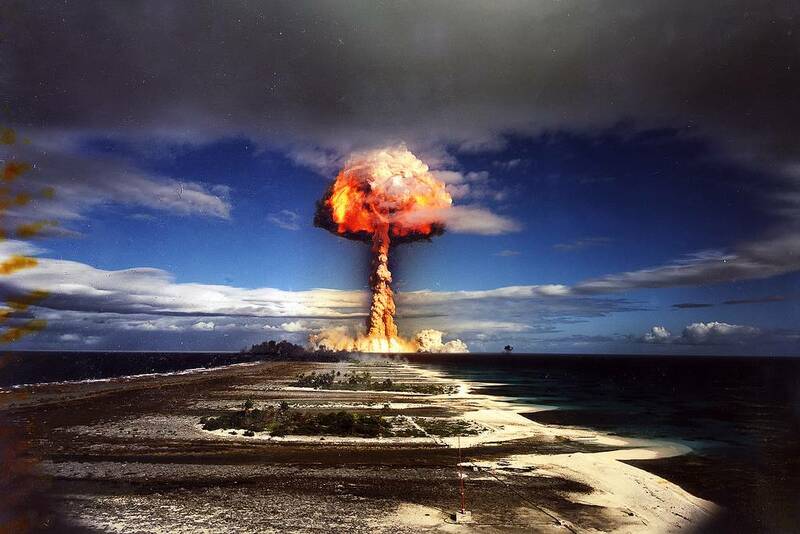 You do not have to think very long about this before your thoughts turn to World War III and nuclear weapons. We definitely have to avoid such a situation at all costs. Note that I am definitely not saying that we are all doomed and WWIII will break out tomorrow. 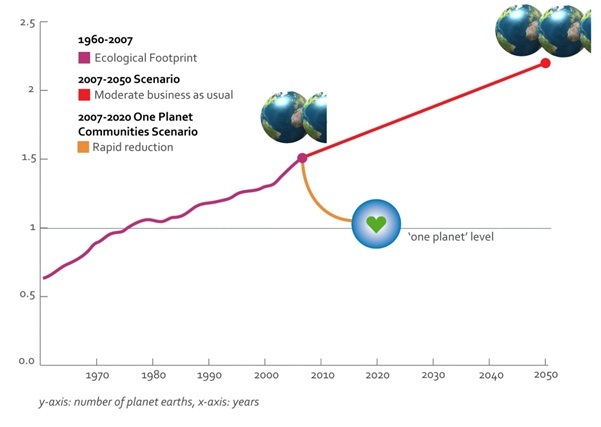 All I am saying is that all the global trends in planetary resource consumption, waste excretion, debt accumulation, social inequality and personal responsibility (in terms of personal health and finances) are already at unsustainable levels and still rapidly moving in the wrong direction. This is a cause for serious concern and demands immediate and decisive corrective action. Unfortunately however, our global civilization has become so complex and interconnected that changing course in order to reverse all of these worrying trends will be incredibly difficult. Our high degree of interconnectedness has also put all of us in a single boat, implying that national problems now become global problems. The way that the world economy responded to problems in tiny little Greece (with a mere 0.16% of the world population) should be interpreted as a clear warning. Please take a deep breath and move on the the next (and final) problem page. my guestimate is by 90%..
and surely the continuing upsurge in regional conflicts, each with global implications, demonstrates a gathering whirlwind of destruction.